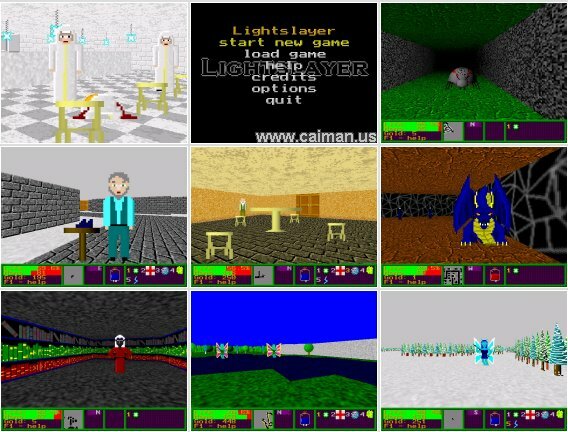 Caiman free games: Lightslayer by Rainer Deyke - Eldwood. 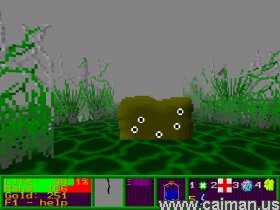 A huge 3D RPG/FPS. 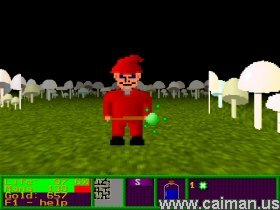 Poor graphics but a great gameplay. As a dark elven sorceress, you travel through a vast world, fighting monsters and completing quests in the search for your missing mentor. It's really a huge game, hundreds of big maps. Even by using the walkthrough you will need a few days before you can complete that game. The graphics are not very well, but still I really enjoyed the game. For five years you were apprenticed to the sorceress Calesstra when your apprenticeship was cut short. Never will you forget that fateful night, for it changed your life. You were studying a particularily difficult spell when you felt a sudden surge of magical energy. You turned around and a flash of white light blinded you. When your eyes had recovered, Calesstra was gone. You set out to find her, never guessing that your search would take you far beyond your world, through forests and mountains, through deserts of burning sand and deserts of eternal ice, through cities and swamps. Your quest would ultimately determine the fate of two world, for you are the Chosen, you are the Fated, you are the Lightslayer.